A quick guide on how to publish edited videos on YouTube. What videos should be uploaded to YouTube? We use YouTube for making edited videos available for the public to access via web or via YouTube’s API. We do NOT use YouTube as our private video archive (this is what our external harddrive is for). We are using Medea’s YouTube account, which you access using this username/pwd combination. There are no limits to how large the video files (in bytes or minutes) can be, nor is there a limit to the number of videos we can upload. How do I organize the videos? Since we are using Medea’s YouTube account, we need to make sure to put the videos in the Living Archives Playlist. At the moment, we have only 1 playlist. When we have uploaded many videos, we might want to add them to separate playlists. 3. Under Basic info (see image below), add Title, Description, Tags and Category. 4. Under Advanced settings (see image below), change the default “All Rights Reserved” license to “Creative Commons – Attribution”. You can also add a location and a date for where and when the video was shot. 5. Add the video to our Living Archives Playlist by clicking “+ Add to” in the upper right corner (see image above). 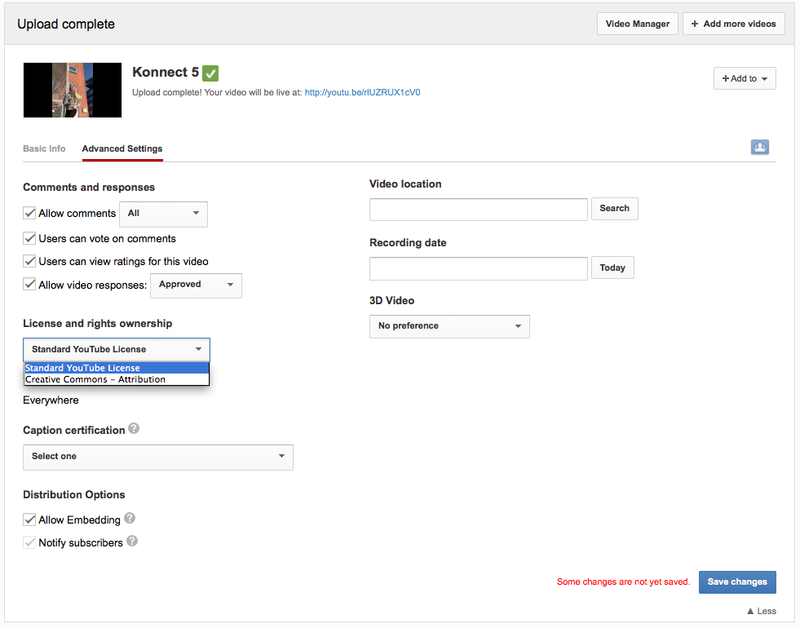 The standard license for videos uploaded to YouTube is “All Rights Reserved”. However, to enable re-use of the video (remixes etc), we do want to change the license to Creative Commons-Attribution (CC:BY), meaning that anyone can use the video for any purpose as long as the copyright owner is credited (see point 4 above for how to change the license). 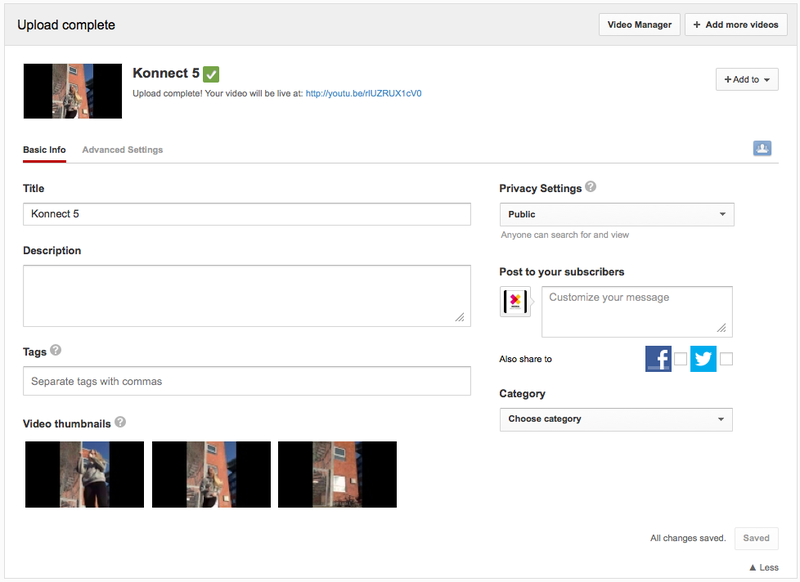 If you want to be credited personally, make sure to add your name in the description box of the video. If left blank, Medea will be credited as copyright owner. YouTube doesn’t allow for any other version of the Creative Commons license than CC:BY. Read more about the CC:BY license. Updated March 19, 2013, by Richard.